Embark on a short family safari in Uganda at Murchison falls park and be rest assured that whatever you do, your children and loved ones will enjoy the very best of Uganda wildlife and culture. Welcome to Uganda the Pearl of Africa; today is yet a lively day as you get ready to visit Uganda’s Largest National Park and most of all a rewarding trip that uncovers much about the country. After breakfast, get ready to join your guide/driver and head Northwest of Uganda, through Luwero district, Bombo and further to Masindi. A lunch stop in Masindi town will be perfect, since the children may not wait for long to have a meal. Proceed to the Park after lunch and check in at your lodge, have the rest of your evening with diner at your lodge. On this day, have an early breakfast and join your guide for an adventurous game drive through the park trails. This game drive will offer your family a face to face moment to meet with the towering giraffes, herds of Elephants, buffaloes, Uganda Kob, warthogs, bushbuck, waterbucks, sitatungas and so many other animals as well as birds. After the game drive, drive to the lodge for lunch and if the children need to freshen up, it’s a perfect time for them. Still on this same day, embark on afternoon boat cruise along the White Nile. The Nile Launch cruise offers great memorable rides to the bottom of the falls, it is best to let the children sit in the upper deck in order to view a number Nile crocodiles, buffaloes soaked in the muddy banks, various birds including the yellow breasted – sunbird, regal sunbirds, grey crowned cranes, herons and a lot more. Return to the lodge for dinner and overnight stay. After a hearty breakfast, check out of the lodge and hope on board for Kampala. 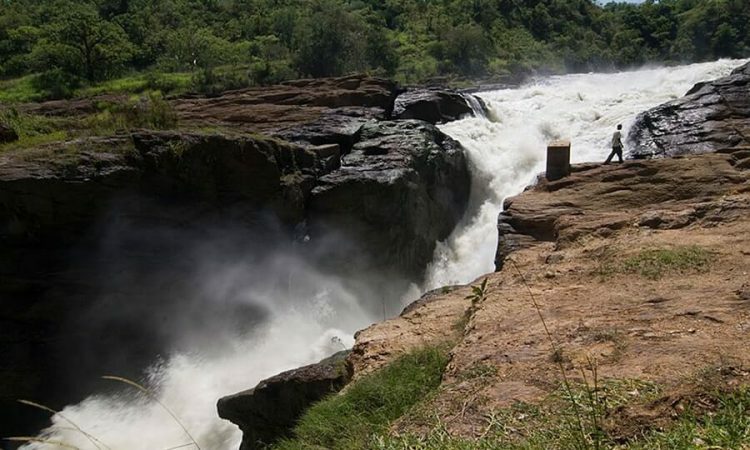 Make a stop at the Top of the Murchison Falls, the view is so breathtaking and indeed memorable. Proceed out of the park for your journey, your guide will make a stop at the Ziwa Rhino sanctuary, enjoy an hour of tracking the white Rhinos, after this stop, drive to Kampala with an enroute lunch, you can proceed to the airport for your next flight or to the lodge for your dinner and overnight stay.